Make it easy for your buyers to find products to complete the product they just purchased. You can associate products so your buyers can easily find the products that match the product they are intending to buy. Showcase your popular products so your first time buyer get confidence and convert more. You can choose to recommend only the most viewed or the most purchased products or both. Don’t show empty search pages and make sure your buyer don’t leave empty handed. Install the app and switch the “Yes-No” option to “Yes” in order to activate the above mentioned product recommendations. By doing so the Most viewed and purchased products, Products on the “no result” page and Newest products and products with discount will be automatically appears on your store. On the other hand the activation of the Complementary products requires one more steps. 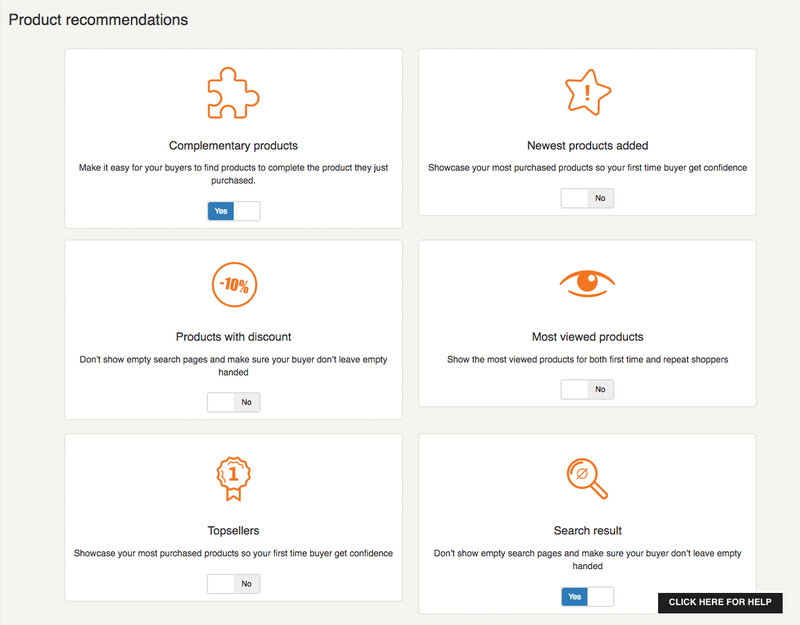 In order to list complementary products you will need to attach them your products. You can do this by adding the completing products when editing a product.